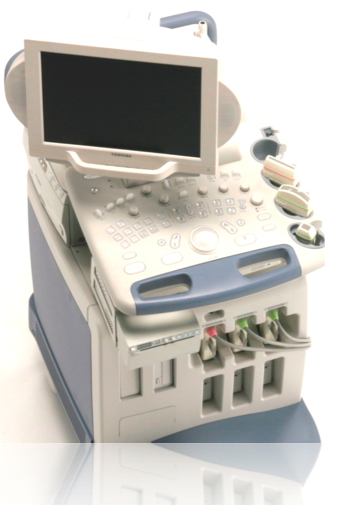 ​Y O U R U L T R A S O U N D N E E D S.
​Since 2002, California Medical Devices has been a fast growing source of ultrasound supplies to all users of ultrasound equipment. It is California Medical Devices’s belief that ultrasound supplies should be easy to order, low in cost and quickly delivered. All sales professionals should know their products like the back of their hand and serve as a real resource to their clients who are busy with patients and need a hassle-free way of ordering ultrasound products. Our customer service is the stuff of legends. We really care that you get the ultrasound products when you need them. Some of hundreds of customers call in and simply say…”send us what you did last time”. Many of our clients have monthly or weekly orders in place in which we ship to them what they need without them lifting a finger….or even a phone. Many others simply toss us an e-mail and we ship what they need. Most shipments go out the same day the order is received and all orders are shipped for FREE via UPS. Late orders are welcome – orders as late as 6:00 PM Pacific Time can usually be shipped that day. supplies, including Parker Labs (the world’s leading manufacturer) for scanning gels, Sony and Mitsubishi for ultrasound film, CIVCO for probe covers, SaniCloth for cleaning, TIDI for patient paper products and several others. W E H A V E E V E R Y T H I N G Y O U N E E D F O R U L T R A S O U N D . . .
​ N O T H I N G Y O U D O N ’ T .
B R A N D N A M E S . . . L O W P R I C E S . . .
F A S T S H I P M E N T . . . F R E E U P S G R O U N D S H I P P I N G . . .
COLOR ULTRASOUND THERMAL PAPER, BLACK AND WHITE ULTRASOUND THERMAL PAPER, ULTRASOUND SCANNING GEL, LUBRICATING GEL, ULTRASOUND GEL WAMERS AND SCANNING LOTIONS, ULTRASOUND PROBE CLEANERS, ULTRASOUND PROBE COVERS, EXAM GLOVES, MEDICAL PAPER PRODUCTS, CDS, DVDS, AND MO DISKS. C O P Y R I G H T C A L I F O R N I A M E D I C A L D E V I C E S, 2003-2007.